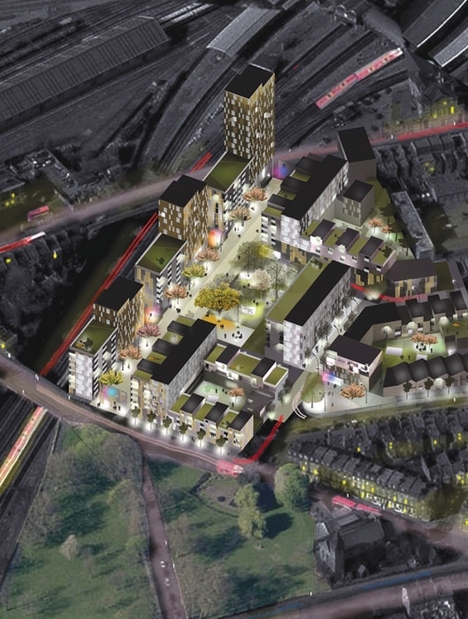 Following our report of the scheme to redevelop Peabody Estate in Clapham Junction, Claire Bennie, who is managing the project, offered to meet with us and explain the need, the purpose and the consultation process. It was a very pleasant, constructive and open conversation for more than 2 hours and we will try to report below the essence of the discussion. Founded in 1862 by London-based American banker George Peabody, the Peabody Trust, known for short as “Peabody”, is one of London’s oldest and largest housing associations with about 19,000 properties across the capital. Six years ago, the government created a series of criteria defining a minimum standard for estates. Peabody calculated the cost to them would be £150m and therefore immediately stopped talking about new building and concentrated its effort on refurbishing instead. In the process, they identified 4 estates were they thought it could be better to redevelop rather than to repair, and Clapham Junction is one of them. Clapham Junction estate contains 351 flats (275 affordable rented and 76 short-term leases). In the 60’s they converted all the flats by making bathrooms within the properties. 13 years ago they replaced the windows. However Peabody is considering now the possibility of redeveloping the site with a totally new estate. Peabody started to talk with the borough planners in February-March 2008 about their scheme. The economic crisis in 2008 halted the plan and they did not do anything in 2009. However they recalculated the economic potential of the redevelopment of the site at the end of 2009 and as it looked financially viable, they decided to restart the process. During the consultation process the role of the Societies (primarily the Battersea Society and the Wandsworth Society regarding the location of the area) was highlighted with regard to the effect on the local area. Albeit being a non-profit organisation, they have to make the scheme pay for itself and therefore aim to maximise the density and potential of the site. This will also mean some of the properties will be for private sale. Of course the question of the size of the towers was raised. On the current sketches, they show a 21-storey tower, along with a 13-storey and 10-storey building. Located at the top of the hill, they will appear to be about 28 storeys when viewed from Arding and Hobbs and will nearly double the size of the estate in Grant Road (Peabody said that the datum heights between the Clapham Junction crossroads and the Peabody site will be measured accurately using OS data to ensure that everyone has the same data.). Therefore they will seek to clarify the guidelines with the Council. They also wish to discuss with the local residents and amenity groups. If the property market seems to flourish again, they could achieve the same benefits with a lower density and smaller buildings, or could position the buildings in a different way. However they have tried to minimise the impact on the adjacent properties near the common, as well as protecting the residents from the railway noise with taller buildings on the other side. In terms of design Peabody will pay the utmost attention to reaching the highest quality. The statement to give all residents private, outdoor space, will be addressed by providing balcony or roof terraces to all flats, or private communal gardens. Parking spaces will be built under raised-gardens and directly accessible through the streets in the estate. It is proposed that the private and rented homes will be mixed within the estate. Current residents will be relocated block by block (flats on temporary leases will be emptied to be available for the relocation of tenants). Peabody Trust aims to organise about three further meetings with the local community before a planning application is submitted, each of which would be held in advance of three similar meetings with the town planners. We suggested that a mock-up of the scheme could be on display permanently in one of the lodges in the estate for instance.